If you want to add login form to your websites, then you need to add sign up or registration form in order to get values from user and store it into Mysql database. 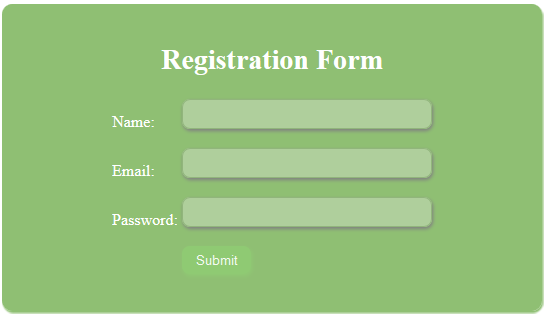 Your registration form should be made in HTML and the values are stored in Mysql using PHP. 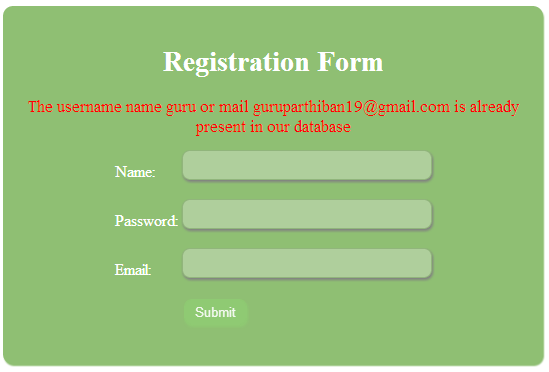 Lets see create the registration form in PHP , Mysql, HTML. First you need to create database to store user values. You need to use below Mysql query to create database in your phpmyadmin. Then you've to use below Mysql query for use created database. After created database, you need to create table for store users values. You can create table using below Mysql query. Now you can see created table is presented in your database. After finished database and table creation, you need to create front end design which can be viewed by users. ie, client side script. 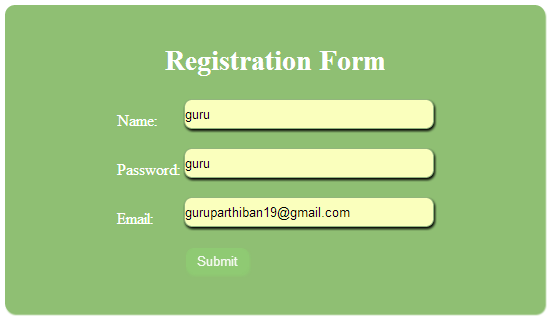 Using below HTML code to create registration form in HTML. 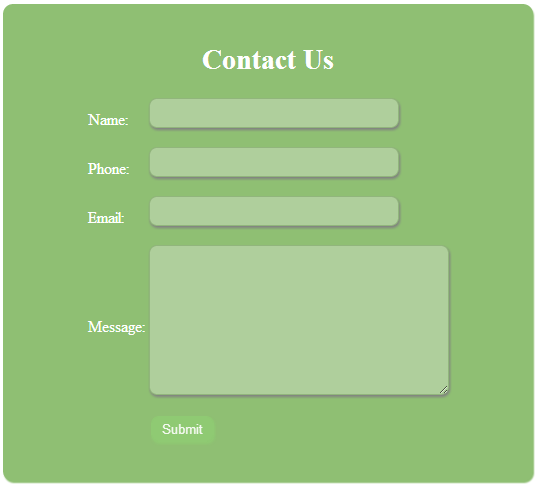 After created form in HTML, it should not be present user attractable one. So you need to add CSS styles to HTML form in order to make form colorful. Just add below CSS codes to your html form. Here is the PHP code for insert user data into Mysql database. This is the code for avoid duplicate entries in table. visit How to avoid duplicate values storing in Mysql table while inserting using PHP. Now you combine all above codes to single PHP file. Then you'll get code like below one. visit How to insert values into Mysql database using PHP. After enter submit button, the values are registered in Mysql database. Now you can see the values are present in yout table. Now your table contains user details. So you can add login form to validation user name and password of users.